Chelsea gets Sunderland into bother! Sunderland and Premier League champions Chelsea could be in a spot of bother with the FA over John Terry’s 26th minute substitution. Sunderland boss David Moyes has said that he was made aware of Chelsea’s intentions for the London side to take off Terry after 26 minutes of play which coincides with his shirt number. Sunderland put the ball out of play which is now clear it was pre-planned and could be looked on as form of match fixing. It is not unusual for bookies to take bets on when a player will be subbed off, along with how many throw in’s and corners there will be in a game. 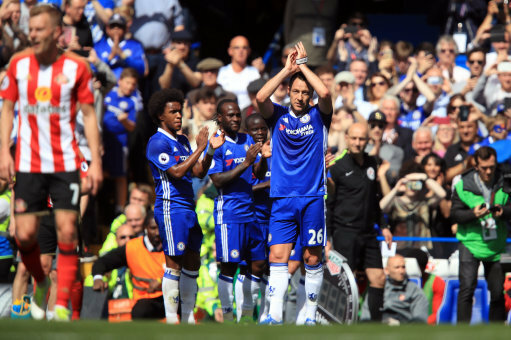 Terry went off with a guard of honour by his team mates, which has also received condemning comments from some sports commentators.